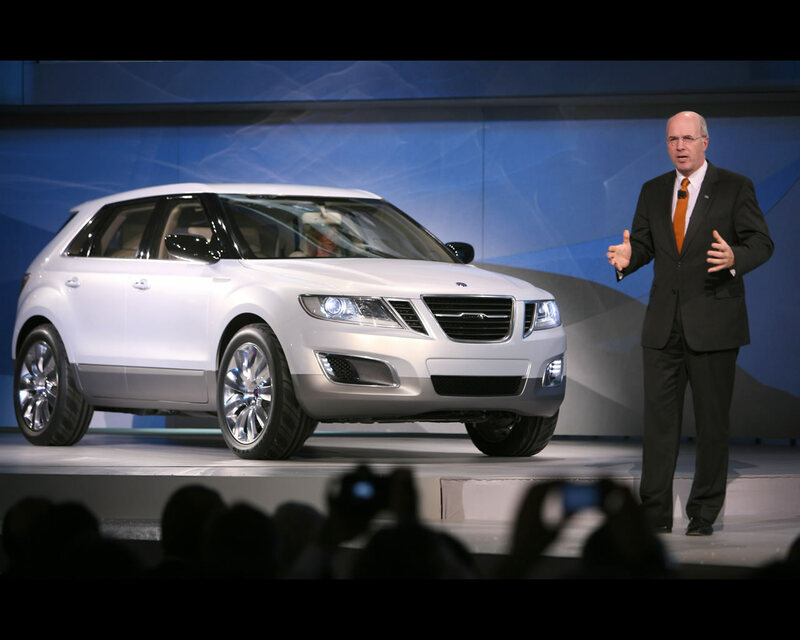 The SAAB 9-4X BioPower Crossover Concept, presented by General Motors at 2008 Detroit NAIAS and Geneva Motor Show, confirms Saab's plans to enter the growing crossover segment with a dynamic, driver focused vehicle inspired by Scandinavian design values and respect of the environment. 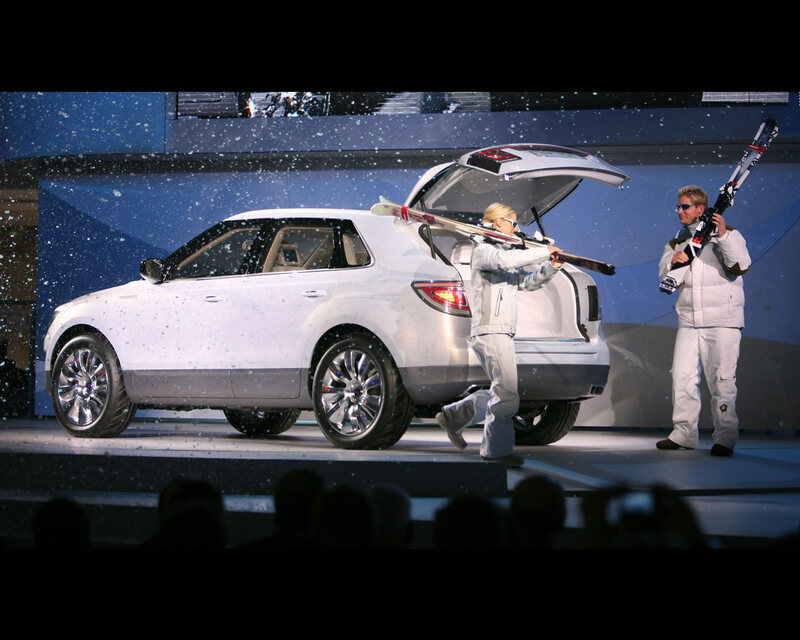 The SAAB 9-4X BioPower Concept's progressive design features are combined with a responsible, fun to drive appeal based on BioPower engine technology and a cutting edge all wheel drive system. Optimized for bioethanol (E85) fuel, the four cylinder 2.0 liter BioPower turbo engine can deliver 300 hp (221 kW) and 400 Nm (295 lb.-ft) torque together with a substantially reduced CO2 emission on a source to wheel basis. The compact, all aluminum four cylinder BioPower engine combines the benefits of turbocharging, direct injection and variable valve timing for the first time with high octane E85 fuel (85 percent ethanol and 15% gasoline). This engine is mated to a Saab XWD (cross-wheel-drive) system, electronic rear limited slip differential and six speed automatic transmission. 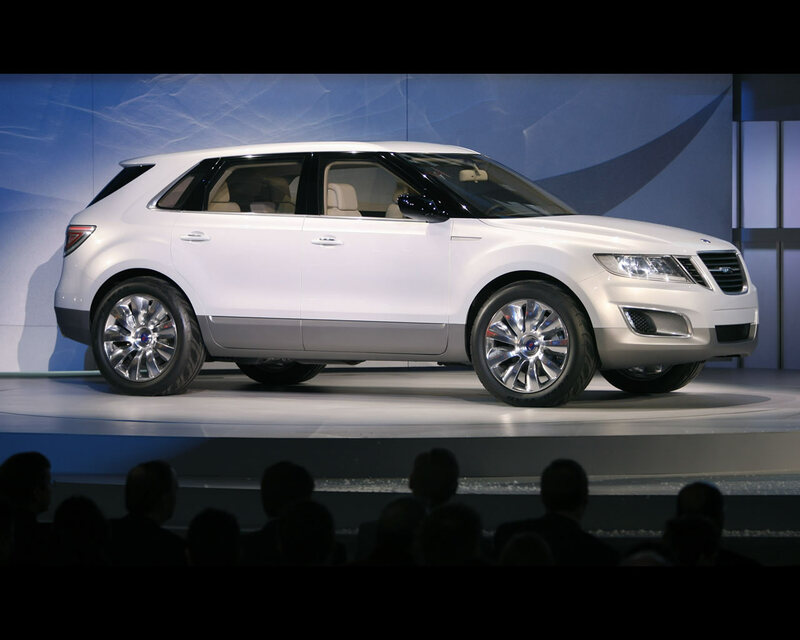 The SAAB 9-4X BioPower Concept was developed by a team headed by Anthony Lo, GM's Europe's Director of Advanced Design, in cooperation with designers and engineers from Saab Brand Center in Sweden. " We focused on incorporating design themes from the Aero X in a crossover execution, adding functional, lifestyle features to support the activities of customers using this type of vehicle" Lo said. 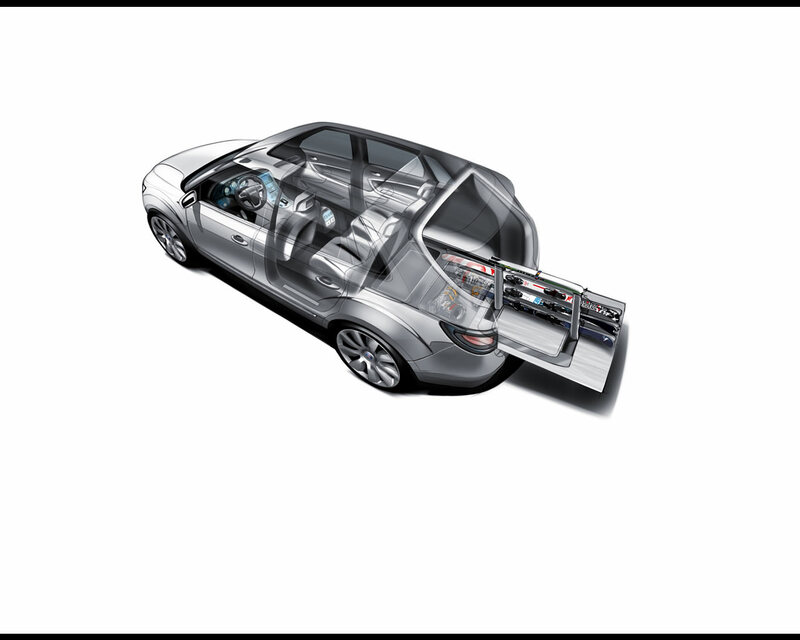 Saab designers worked with top Saab Salomon Big Mountain skiers to devise an innovative storage system for stowing skis and equipment inside the car. The rear cargo deck features a sliding floor with a fold out aluminum ski holder, through which up to three pairs of skis and poles can be slotted. Boots are stowed in an underfloor, heated compartment and, for maximum practicality, the entire rear cargo area is covered with a waterproof and scratch resistant rubber skin.